The information below is NOT required. 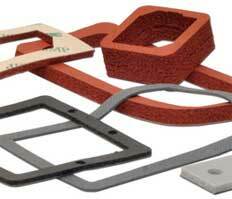 All information provided will help Stockwell Elastomerics choose the best material for your application. Would you prefer a peel and stick adhesive backing? If so, what type of substrate is to be bonded to (e.g., steel, plastic, powder coated metal, painted metal, etc.)? If known, what is the thickness requirement for the material? Is there a CAD file available that may be used to cut sample parts? Up to 5 files can be uploaded. Please note that the maximum upload size is 16 MB. If your files are bigger than 16 MB or you are having any difficulty with sending a file, please complete the contact form without attaching the file and we will contact you directly to provide FTP instructions to upload your file. Accepted file types: pdf, xls, xlsx, doc, docx, ppt, pptx, jpg, jpeg, gif, tif, png, dwg, dxf, f3d, iges, igs, prt, sldasm, slddrw, sldprt, step, stl, stp, x_t.